You spend a lot of time taking care of the vegetable garden, but it doesn’t look the way you want it? Did you ever think, maybe, you’ve made mistakes when you planted seedlings and seeds? It’s advisable to know some gardening information in advance to avoid any problems, and to harvest the most beautiful vegetables you’ve ever seeded. 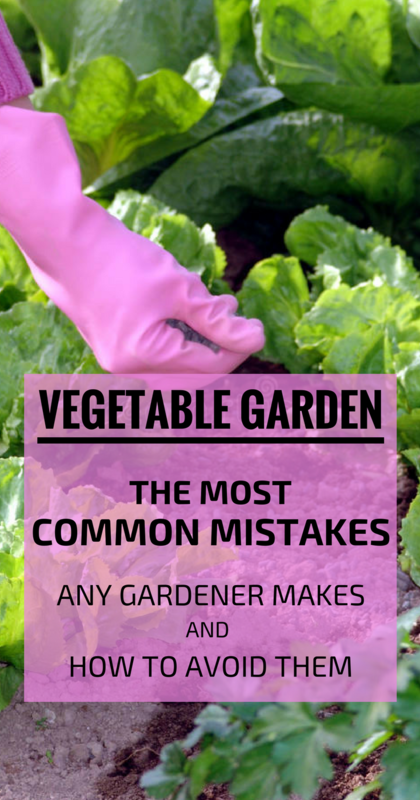 Here are the most common mistakes any gardener makes that can compromise your vegetable garden. It is very important that the chosen area for growing crops to be in the sunlight at least 8 hours a day, because it helps them grow. In addition, your vegetables will grow vigorously and will have abundant production. 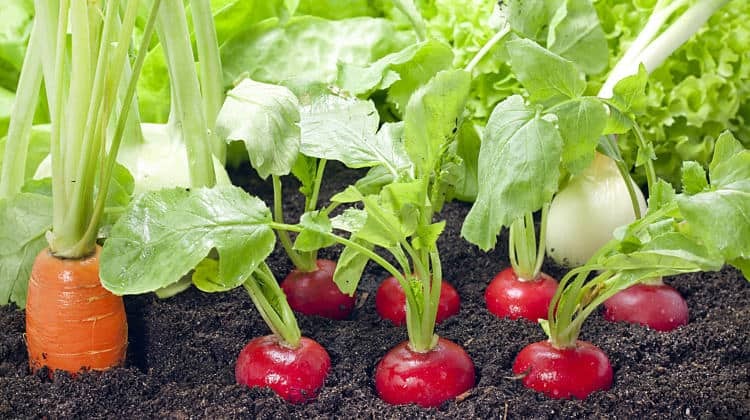 You also need to consider the fact that higher growing plants can delay the development of the little ones, so you have to organize the places you plant your vegetables in advance. To have a successful harvest, make sure your garden has the soil it needs to develop harmoniously your vegetables. Analyze the type of land and choose only plants that can grow on that soil. Check out the strengths and weaknesses of the soil, and try to improve conditions by adding chemical or organic fertilizers. Mineral substances will enrich the soil texture and improve drainage, so the land can feed the future vegetable garden. Plants need space to develop their roots. If you plant too many seedlings next to each other, they will always be in a competition for water, light and nutrition. Also, crops need air and if it doesn’t ventilate among them, they will become an attractive source for diseases and pests. If you have already made this mistake, you can do it as follows: carefully analyze the vegetables and keep only those that are healthier and grew better, just so you can save the crop. Although vegetables need water, it’s not good to water them excessively, as their root may rot or be attacked by certain diseases. Even if it seems to you that some seedlings seem a bit wilted during the day, because of the sun, don’t wet them, because the strong rays of the sun can affect them even worse. Besides, it is recommended to water the vegetable garden only in the morning or in the evening after the sun has sunset. A mistake that many gardeners make is to put too much of a fertilizer. Although it should help plants, it actually has the opposite effect. Balance is the key to the vegetable garden, so it is recommended to add nutrients in moderate amounts. Follow the instructions on the product packaging carefully. But, to avoid any problems, use organic fertilizer: seaweed, dung, garden scraps (tree branches, dried leaves).